Is this the form of the Honda City Adventure scooter? As quoted from Visordown, that Honda has patented the production version of the Honda City Adventure, and the scooter concept model had been shown at the EICMA event in Milan, Italy, last year..
From the pictures that circulated widely on the Internet, there are some differences that appear in the images compared to the concept version. 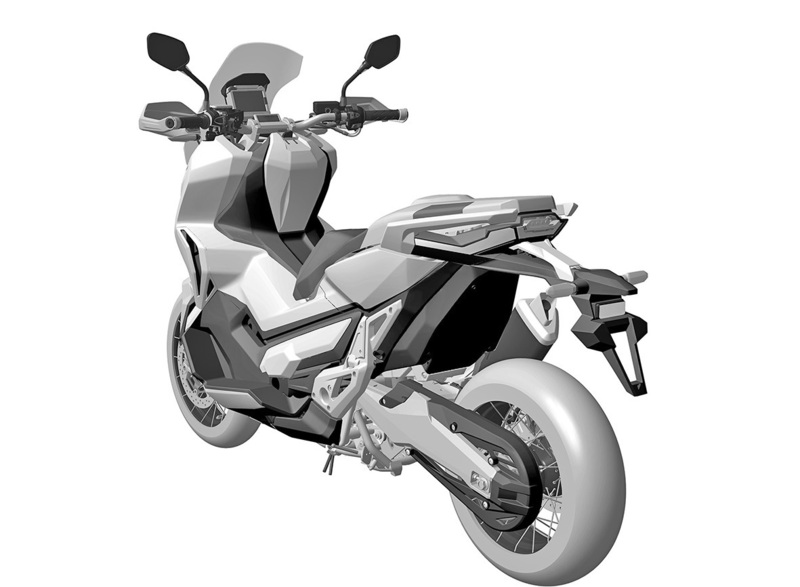 There was a bit of a surprise here, the Honda City Adventure or called by a ADV or X-ADV in the production version is actually present with the addition of specifications than the concept version. It's just that the overall design there are no noticeable difference. 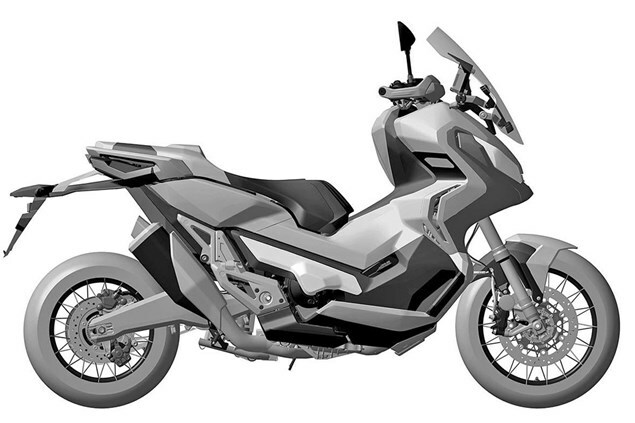 Among those changes was the front brake calipers on the concept version using conventional models. No other changes in the exhaust, reflectors, fork comes with new faces, as well as a larger hand guard. Meanwhile, some of the same parts are adjustable windsreen and instrument panel are already using full color screen. 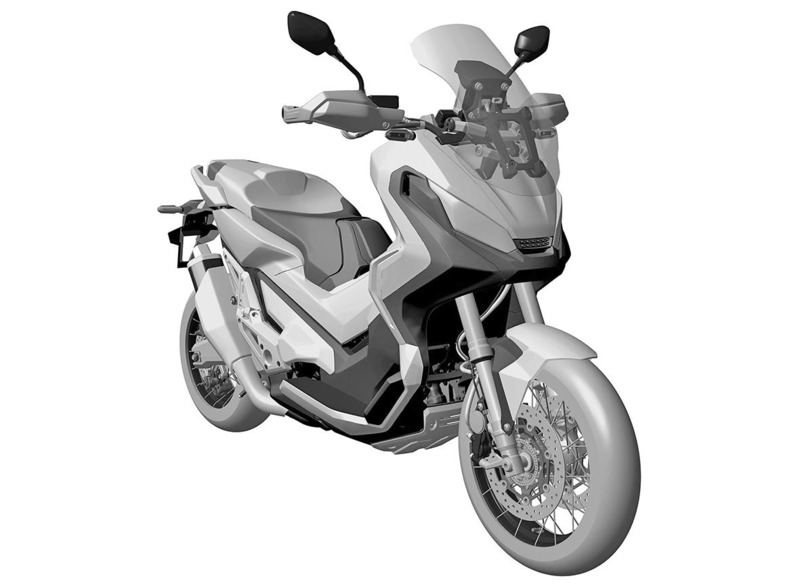 Its drivetrain seems the same as the concept version, which uses the engine of the NC750 and transmission system using DCT semi-automatic. Honda City Adventure engine capable of producing the power up to 54 hp. One thing to note is that scooters use the same basis of its sports models will be priced more expensive. Take the example of Integra scooter that uses a base of the NC700 motor sport, it priced more expensive at Rp.161 million. The same is likely to apply to the City Adventure or ADV or X-ADV. It will sold at the price will be higher than his brother, Honda NC750 motor sport.